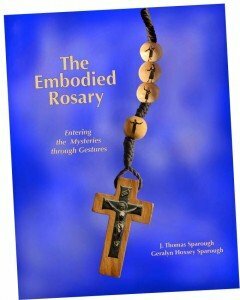 This 44-page guide shares an accessible way to physically enter into the contemplation of the Rosary scripture stories. With photos demonstrating every gesture and appropriate for all ages, schools, families, individuals, and religious education classes now have a new tool to enliven this beloved prayer. 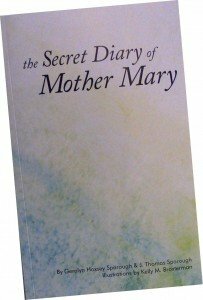 This 195-page diary is written from the perspective of Mother Mary. It serves as a prayer guide reflecting on the Holy Family and showing how all families are similar to the Holy Family. Not a complete diary of the life of Mary, it starts at Jesus’ birth and takes us through 40 sacred months. Every passage is a meditation in and of itself. Original charcoal drawings accentuate the pages. 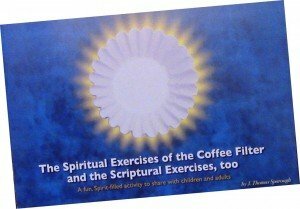 This 28-page activity book is based on manipulating a common coffee filter in trick ways. Ten simple tricks are offered that are paired with spiritually meaningful questions, and scripture quotes. The activity is a wonderful icebreaker and energizer for youth and adults alike. It is fully illustrated with black and white photos.